I am now in the final homestretch of this pregnancy, also known as the last few weeks where pregnant women start to plead unsuccessfully with their unborn child to end their misery. I'm being a little dramatic but since it's been record breaking temperatures here in Arizona (110 already!) and our air conditioning isn't working 100%, I feel incredibly crabby and achy. Luckily, I had my last ultrasound this week and it made everything feel worth it. Seeing my girl squirm and kick and grab her little toes was just the boost I needed to get me through the aching back, general queasiness (my old nemesis has returned) and exhaustion. The ultrasound tech pointed out a "good coat of hair", which I'm a little surprised about. Both William and Frederick had some decent hair when they were born but the old wives tale is that if you have heartburn, then your baby will have lots of hair. 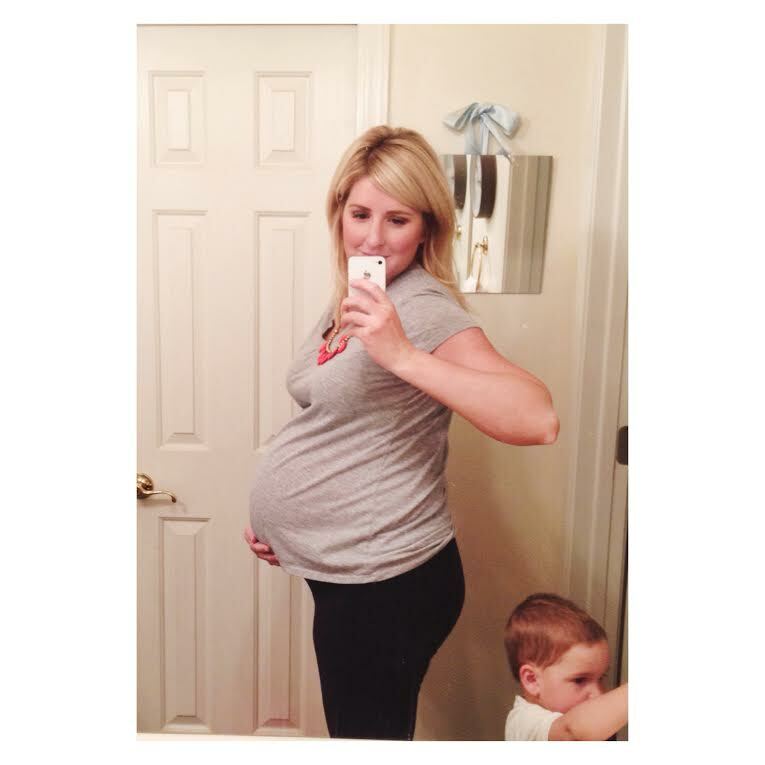 I had horrible heartburn with the boys for months but not with this pregnancy. I know it's just an old wives tale but it's just a little surprising. 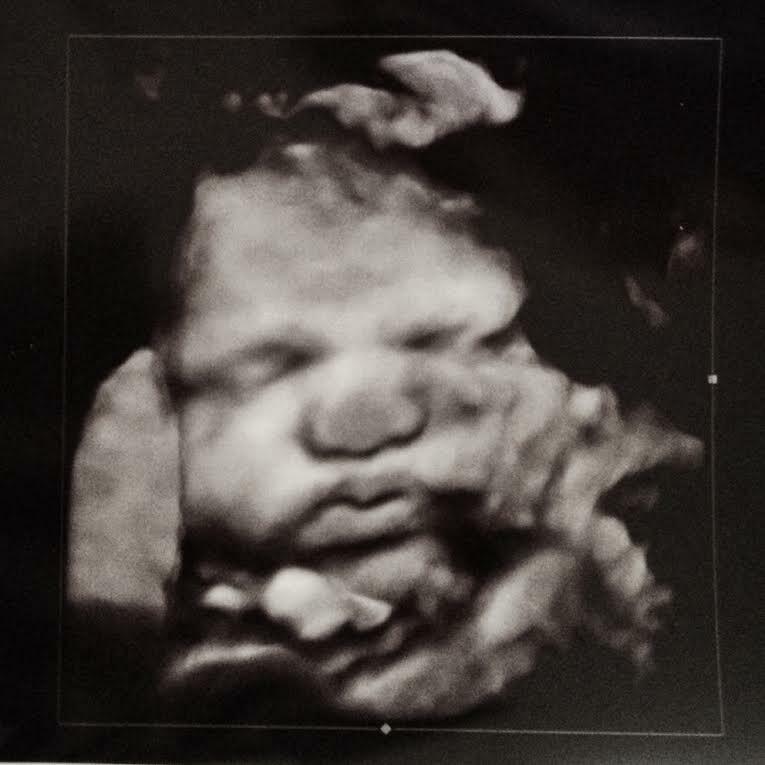 She was making some pretty cute faces during the ultrasound. The first real shot was of her "duck face" and we couldn't stop laughing about the thought of her saying, "let me take a selfie". She has the most delicious chubby cheeks and full lips. 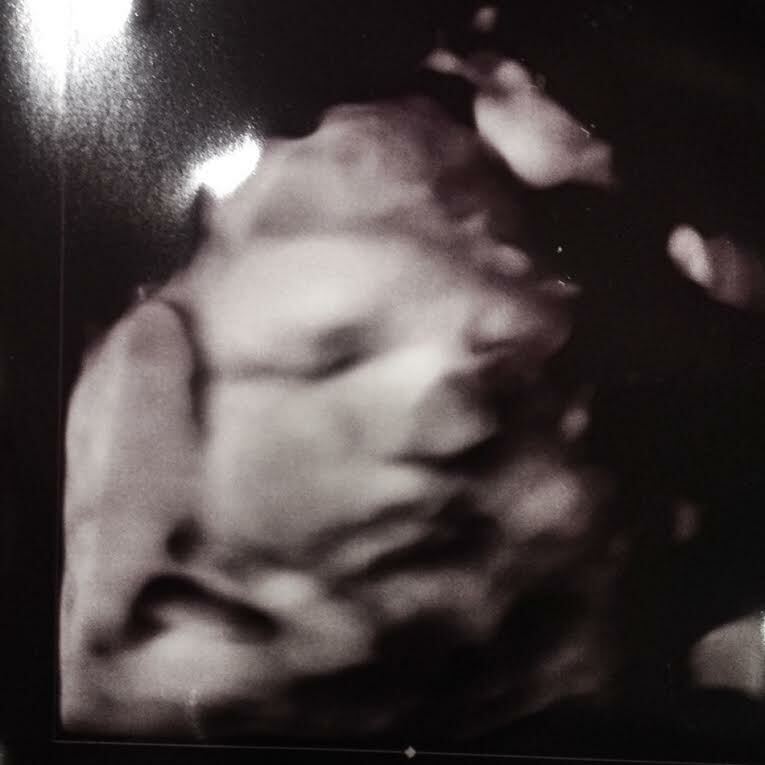 I think she looks a lot like Frederick in these pictures but we'll see what she looks like soon! William is insistent that she has blonde hair and blue eyes... we'll see! So far, we're 0 for 2 on David's beautiful blue eyes! No matter what, we're very excited to meet this sweet little love. What a great ultrasound picture! I can't wait to hear all about your baby girl and hear her name. How precious! So excited for you all!